Over the past few decades, US Law has implemented various procedures in order to speed up the authorization of drugs that have been considered vital. During the month of April (2015), Congress added a new option to existing alternatives. 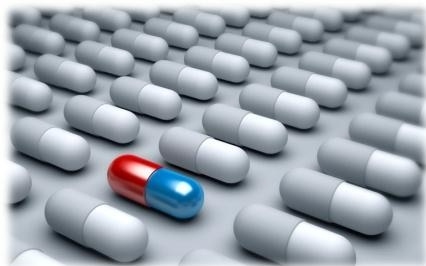 Although these programs were developed to accelerate the approval of drugs of unusual significance, the Food and Drug Administration (FDA) has shown that most new drugs are registered through one of the programs of accelerated authorization to circumvent bureaucratic obstacles. In fact, in recent years, a third of the drugs approved by the FDA have been authorised using one of these quick approval programs. The accelerated authorization procedures for new drugs are less demanding regarding their efficacy and safety. These procedures emerged in order not to delay the use of drugs for which no therapeutic alternatives exist, or in scenarios where any delay in the authorization would jeopardize the lives of patients. These quick approval programs should be the exception, but now the exception has almost become the norm. The most recent legislative amendment was approved in 2012, and is called Breakthrough Therapies Designation. Following this program sofosbuvir (1) (Sovaldi®) indicated for hepatitis C genotype-1 was authorised. Of the 41 drugs approved during 2014 in the United States, nine have been approved via Breakthrough Therapies Designation. Currently, 80 potential drugs are on the waiting list for this fast track authorization. In clinical trials this procedure only requires a small number of patients, just enough to demonstrate that the drug favourably modifies a biological marker for the disease, such as a better outcome in a clinical or biochemical parameter. This requirement is less complex and less expensive than the demonstration of a statistically significant improvement in aspects such as the symptoms of the disease or the survival rate of patients. For example, a new oral antidiabetic drug can be authorized solely based on the evidence of a statistically significant reduction in glycosylated (a marker of diabetes). Examples of medicinal products authorized by Breakthrough Therapies Designation are: Mekinist® (trametinib ) and Tafinlar® (dabrafenib ) for the treatment of irresectable melanoma, both approved in 2013, Imbruvica® (ibrutinib ) for chronic lymphocytic leukemia and non-Hodgkin's B cell rapid progression lymphoma, and Zykadia® (ceritinib ) for of non-small cell lung cancer, both authorised in 2014. The biological markers used as an "end-point" in the use of one of these drugs are: MEK-1 and MEK-2 [Mitogen -Extracellular-Kinases] (in the case of trametinib); BRAF (for dabrafenib); "Bruton tyrosine kinase" (in the case of ibrutinib); and ALK [Anaplastic Lymphoma Kinase] (whose activity is inhibited by ceritinib). The first accelerated approval program was created in the late 1980s under the name Fast Track Designation. Under this procedure the first drugs used in the fight against HIV were approved; a top priority at that time. In addition to the first anti-retrovirals, the Fast Track Designation has been employed to authorize medicines for diseases for which there was no drug treatment. Following this protocol, the FDA is working with manufacturers on issues such as the design of clinical trials. The information from these trials is evaluated as it becomes available (rolling review), instead of a study of the complete dossier. Between 2008 and 2013, 66 drugs have been authorised according to this procedure. Other programs of accelerated reviews are: Priority Review and Accelerated Approval Program. Priority Review is for drugs to which are presupposed to offer an improvement over the existing therapy for life-threatening diseases. Within a 6-month period the FDA is obliged to give an answer to the applications filed by Priority Review. A total of 86 drugs have been approved by the FDA between 2008 and 2013. The Accelerated Approval Programme, which, to some degree, overlaps with the Breakthrough Therapies, was established in the 1990s to encourage research into treatments for prevalent diseases when there are very few pharmacological options. It is a subrogation of the endpoints of clinical trials in a clinical parameter (for example, blood pressure) or a biochemical setting (ex. CD4 + lymphocytes). This authorization procedure is validated through clinical trials phase IV (post-marketing). Since its introduction, about 90 medicines have been authorized following this procedure; almost a third of new anti-cancer and anti-retroviral drugs. Likewise, the Orphan Drug Act, passed in 1983, encouraged laboratories to the do research into treatments for so-called rare diseases. This law validates the results of clinical studies involving small numbers of patients, while granting exclusive and advantageous commercial rights. This law became very popular in the pharmaceutical field, and is now widely used to develop drugs for very rare genetic alterations, as well as the marketing of expensive treatments for cancers that only affect a small number of patients. An example of this kind of drug, approved last year, 2014, was Keytruda® (pembrolizumab ), by Merck, for the treatment of metastatic melanoma. The most recent legislative amendment is the 21st Century Cures Act, aimed at encouraging medical innovation and for the approval of new drugs and medical devices. In a first draft of the law, laboratories could promote their drugs for uses that had not been expressly authorized; a practice not formally recognised, but common in the relationship between the pharmaceutical industry and prescribers, and prolong the lifetime of the patent. Neither circumstance was taken into account in the final text. By contrast, other aspects of the draft law, such as the approval of new antibiotics for conditions that affect limited groups of patients, were included in the21th Century Cures Act. The increasing use of these accelerated drugs approval programs should not be considered as a particularly edifying practice within the pharmaceutical industry. It is the FDA who dictates the requirements necessary the authorisation of these programs. It happens that the pharmaceutical industry is shifting its priorities towards research into medicines for special patient groups due to the increasing difficulty and high costs associated with the investigation of drugs use for the treatment of diseases of high prevalence. 1. López-Tricas, JM. Sofosbuvir, a new drug against hepatitis C. European Journal of Clinical Pharmacy 2014, 16(4): editorial. 3. Ballantyne AD, Garnock-Jones KP. Dabrafenib: first global approval. Drugs 2013; 73: 1367-76. 4. Cameron F, Sanford M. Ibrutinib: first global approval. Drugs 2014; 74: 263-71. 5. Shaw AT, et al. Ceritinib in ALK-rearranged non-small-cell lung cancer. N Engl J Med 2014; 370: 1189-97. 6. López-Tricas, JM. http://www.info-farmacia.com/medico-farmaceuticos/informes-tecnicos/pembrulizumab-keytruda-nuevo-medicamento-contra-el-melanoma. 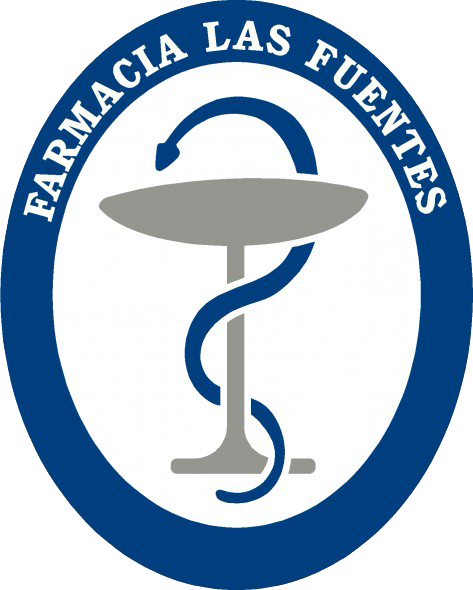 In www.info-farmacia.com. Consult: May 2015. (Spanish).